New for Fall 2018, this embroidered classic is a variation on the now famous Tom's Classic range of espardrilles. 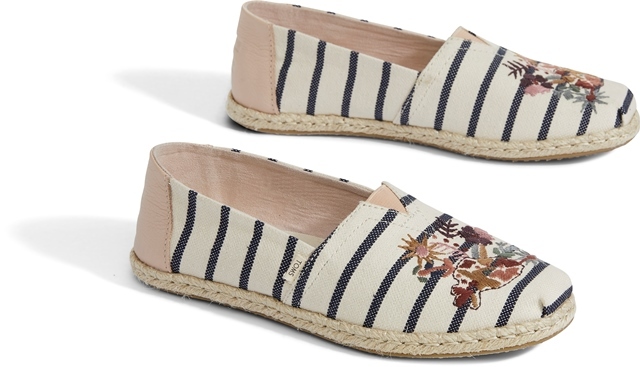 Finished in a timeless cream and navy stripe, lightweight and comfortable. What's not to like?